All Garaventa Lift Elevator Control Systems are 100% tested in our factory. We make our own hydraulic cylinders! Each one is pressure tested to our exact standards. Uninterruptible Power Supply allows you to electronically lower the elevator cab in the event of a power outage. 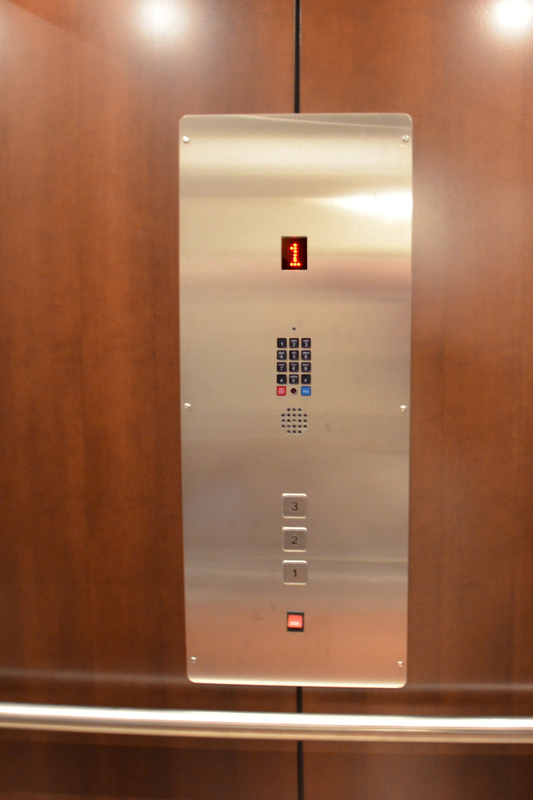 A variety of optional features and finishes allow extensive customization of the Elvoron Home Elevator. A selection of popular optional features is listed below. For a more extensive list, please contact Garaventa Lift or refer to the Home Elevator Design and Planning Guide . Custom elevator cars - In addition to the optional features and finishes listed here, Garaventa Lift can build completely customized cars, including use of exotic woods, glass, steel and other materials. Contact us with your ideas. Basic cab panels can be upgraded to a variety of wood species that can be further enhanced with recessed or raised panel styling. Cars can be built virtually any size up to a maximum of 21 square feet. Increase the cab height to 96" or select a custom height anywhere from 80"-96". A hands free emergency telephone can be integrated into the car operating panel or a separate cabinet with jack can be supplied for a standard telephone. Installation of a telephone is highly recommended. A power gate operator can automatically open and close the car accordion gate making elevator operation much easier for people who have limited manual dexterity and wheelchair users. Similarly, a power operator can be installed on the hoist-way swing doors. Additional handrails in the car can add style and passenger security. The buttons on your car operating panel can be customized to show letters denoting certain floors rather than numbers. Capacity can be increased from 750 lbs to 1,000 lbs.